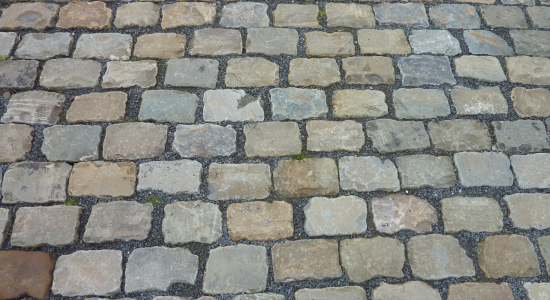 Our reclaimed 19th century setts will bring a touch of authenticity and charm to the realisation of your projects. Irregular in shape, with uneven surfaces and incomparable natural patina, reclaimed setts combine perfectly and with inimitable style with all types of decor to create stunning landscaping effects. Our nostalgia for the Paris of the past with its cobbled streets and its unique atmosphere, the Paris conveyed in popular music and vintage postcards and photos has us seeking an identity that we have lost sight of. The solidity and elegance of the past make a comeback with the reclaimed setts we market. Nobléma® stocks a wide range of setts, edging stones and kerbstones in sandstone or granite: Pavés de Paris®, Pavés de Lyon®,Pavés de Versailles®,Pavés du Nord®, Pavés de Fontainebleau® , Pavés Napoléon® , Pavés du roi® . 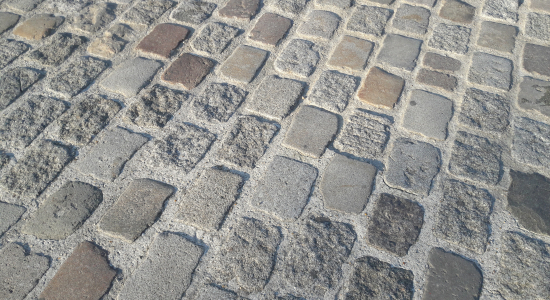 Reclaimed setts can be used whole with their natural patina or their tops can be sawn or sawn and flamed in order to obtain a flat surface for ease of access for persons with reduce mobility. 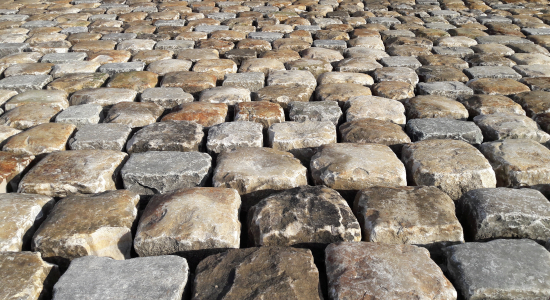 We also market the thinner sawn tops of reclaimed setts (2cm to 5cm), in sandstone or granite that have a beautifully time-polished surface and the bottom sawn even for easy positioning. These setts are the perfect choice for clients who don’t have the 20 cm in depth required to position the whole sett. Paving flagstones, with their flat surfaces polished by time, are perfect for footpaths, terraces and pedestrian passages. 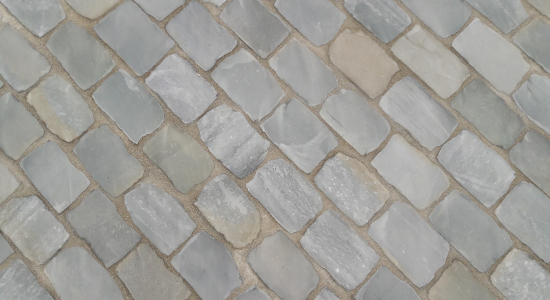 For crescent-shaped or fan pattern stone laying, we recommend our mosaic setts, small sandstone or granite setts in 6/8 cm – 9/11 cm or 10/12 cm sizes. 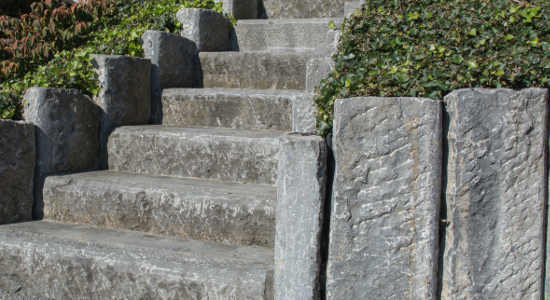 Our reclaimed kerbs known as country edging stones or kerbstones are in sandstone or granite and match the setts we market. Come and visit our 800m2 landscaped garden in Savoie for a first-hand look at our range of whole and sawn setts. We are happy to welcome you any day of the week to offer you expert technical advice and guide you in your choice of material for the realisation of your project.